I met Janet a year and a half ago. A traumatic event left her and her cats homeless. She is a cat rescuer and had 12 cats that needed placement. She initially reached out to us for foster help. While Janet was able to eventually place most of the cats on her own (she kept 4 senior cats no one really was interested in) I helped her with transport and picking up supplies a few days. Even with all she had been through Janet was always optimistic and she never put her needs ahead of her cats. She is strong, resilient, and strong and somehow always has a positive outlook. I’m so happy we became friends. It made me realize rescue isn’t just about adoptions. It is not even just about animals. Helping people also helps animals. And helping has given me a sense of purpose and also I get to meet wonderful people, like Janet. 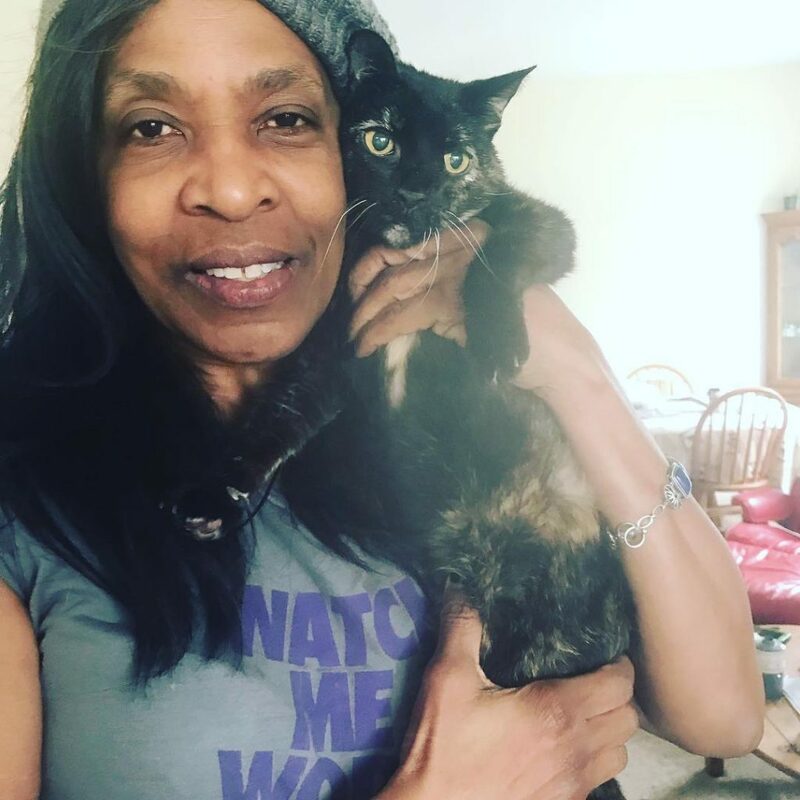 Though she hasn’t completely gotten back on her feet, Janet is resourceful and doesn’t ask for much but a ride to the vet for one of her cats. It was Janet who inspired Sarama’s Community Outreach Program. While the program is small now, we hope to grow and be able to help more people and in turn more animals.